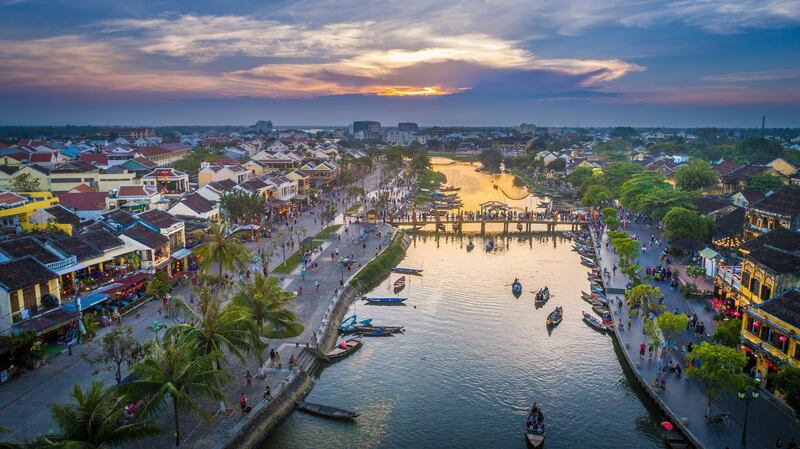 Description: Hoi An. Vietnam’s Old Town and one of the most atmospheric and delightful towns. What about this aerial shot during sunset?